No matter how fit, athletic, well-read, or healthy you are, if your mind and soul are not thriving, then none of those other things even matter. I focus on looking at ourselves not from a physical health perspective but more from an all-encompassing viewpoint, for it has to be acknowledged that health and wellness are nothing if our minds are not well. Negativity and negative intentions are toxic; we can literally think ourselves into being sick, into failing, into ruts that we can not seem to escape no matter how hard we try. And so we must change our outlook. We must re-program our neural pathways and start looking at life with a brand new perspective. The basics of a happy life start with you. With your mindset. Ever heard the phrase “intention is everything”? Well, it is. The way that we embark on each day, the way that we enter into new activities or experiences, are molded by our intentions and our thoughts. Often we enter into early sobriety with the same grim outlooks we adopted while using, we enter with a sense that the world is against us or has wronged us somehow. This negative mindset bleeds into everything that we experience, and therefore every single thing we do is already dampened by the outlook we have on the world. The GOOD news is that this is something that we can control, something that we can change. The good news is that YOU and only you have the power to completely redirect your life. 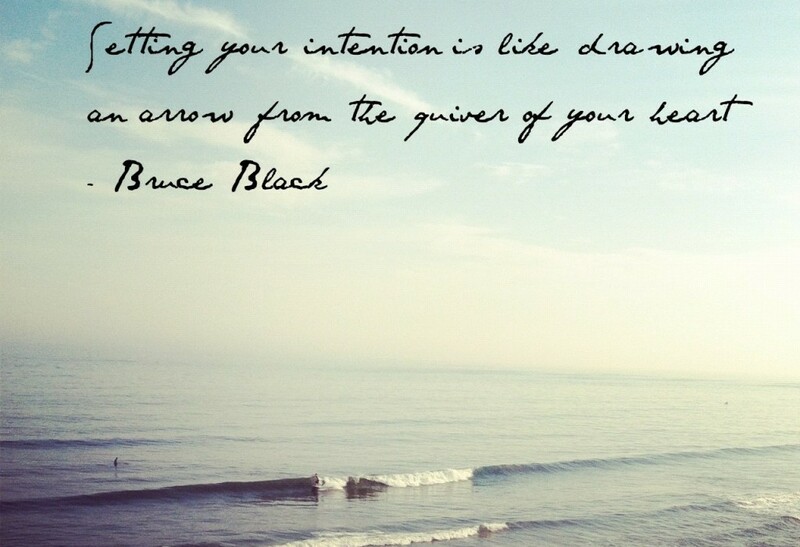 And this redirection starts with intention. DO NOT discount the power of intentions, or the power that you harness in your mind. Olympians, the elites of all athletes, visualize themselves winning. They visualize themselves careening through the courses, winning medals. It is SCIENTIFICALLY proven that positive visualizations can have a huge impact on outcomes in life. So if an Olympian can think themselves into performing better, it certainly stands to reason that you can think yourself into being happier, right? In the morning, set intentions for your day. For example, instead of dreading going into work, literally say to yourself that you are going to have a great, productive day, and then see how things plays out. You may be shocked at how different your day can go just by having a more positive outlook and setting positive intentions. At one point, I wrote “You are you and that is enough” on a sticky note and placed it on my computer so that I saw it constantly. It was a consistent reminder to be positive, to be satisfied, to be grateful. Understand the intention behind the things you do, make it positive, and watch how amazing your life can become.